Are you doing enough to get planning permission on your land? Howkins & Harrison can ensure that your site is promoted through the local plan process and then help you find a development partner that can deliver your site to the market with planning consent. We operate throughout the Midlands and have contacts at all the councils. Each council is at a different stage with their local plan, and in terms of their need for sites, it is important that as a landowner you understand what stage your local council is up to in this regard and whether there are any opportunities for including your land in the next local plan review. We have numerous success stories where we have advised a client and managed the process of promoting the land, linking up with a developer or promoter and ensuring that the terms offered are the best available, then successfully selling the site on behalf of the owner. 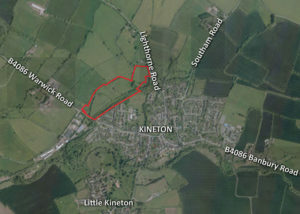 Recently we dealt with a 70 house site in Overseal, South Derbyshire and a 78 unit site in Kineton, Warwickshire sold to Morris Homes as well as Wharf Farm in Rugby – a site for 380 homes on the edge of Rugby sold to Bellway. If you think your land has commercial, residential or leisure development potential – get in touch with our team who will be able to help and advise.